Dr. Karin Tice has been consistently engaged as a project evaluator for many of the large Michigan philanthropic initiatives focused on building charitable and volunteer capacity. As a cultural anthropologist, her approach is always inclusive of all stakeholders, transparent in process and results, and designed to assist both funders and the people implementing the project to adjust strategies as well as to judge results. Karin not only has been around the philanthropic community in Michigan, but she also has been deeply engaged in assessment of outcomes, providing feedback, and seeking to understand what and why projects succeed or fail. 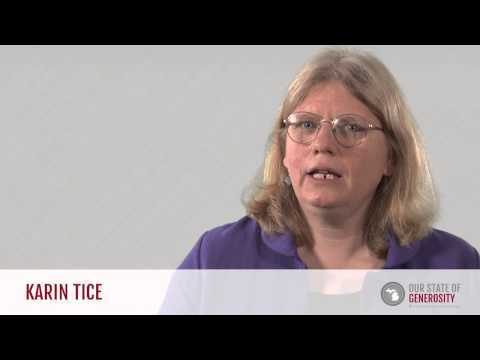 Dr. Karin Tice talks about her career in philanthropy. Dr. Karin Tice talks about the importance of developing relationships and wearing multiple hats in philanthropic leadership. Dr. Karin Tice talks about the development of community foundations and philanthropy across the state of Michigan. Dr. Karin Tice talks about the importance of sharing philanthropic values, but trusting local leadership to implement a model that works best for them. 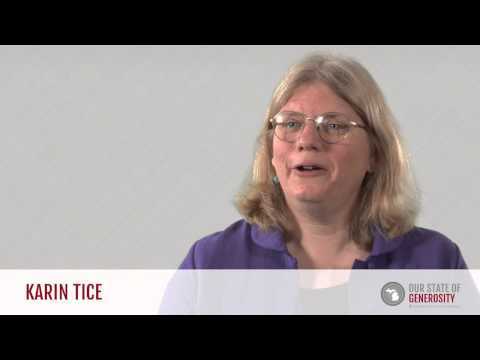 Dr. Karin Tice talks about her longitudinal study in youth philanthropy and the success of the Michigan Community Foundations' Youth Project (MCFYP). Dr. Karin Tice talks about Michigan's leadership in community foundation development through initiatives like Michigan Ventures and WINGS. 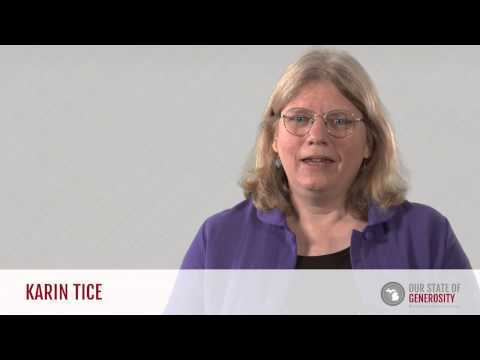 Dr. Karin Tice talks about the national and global effects of the Michigan Community Foundations' Youth Project (MCFYP). Dr. Karin Tice provides an anecdote and discussion about servant leadership in Michigan philanthropy. Dr. Karin Tice talks about Michigan's value of bringing diverse groups together across different siloes. 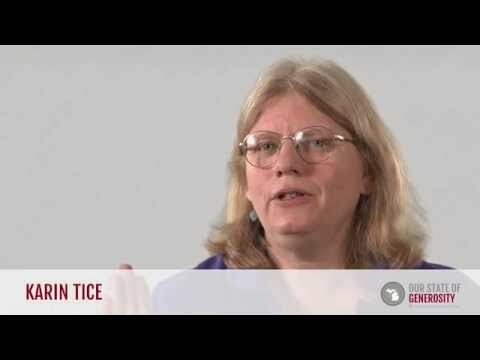 Dr. Karin Tice talks about the Michigan CARES project and the importance of working together through difficult issues. 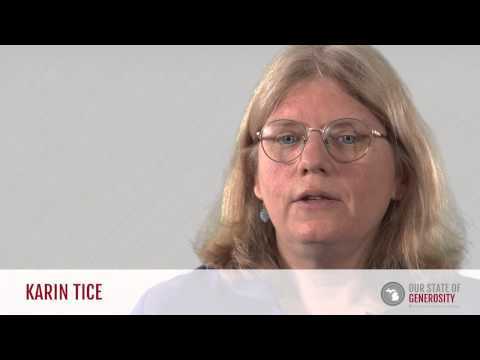 Dr. Karin Tice talks about the impetus and development of Learning to Give. 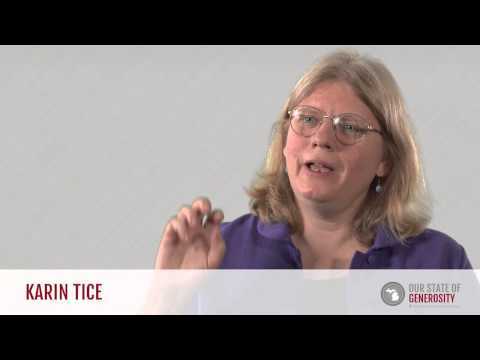 Dr. Karin Tice talks about focusing on collective impact or benefiting the state as a whole rather than benefiting a particular organization. Dr. Karin Tice talks about the impact Michigan's nonprofit sector has had on national and global philanthropic initiatives. Dr. Karin Tice talks about the paradigm shifts spurred on by Michigan Community Foundations' Youth Project (MCFYP). Dr. Karin Tice talks about the importance of adults letting youth lead on youth advisory committees. Dr. Karin Tice talks about how important building relationships was to the success of the Michigan Community Foundations' Youth Project (MCFYP). 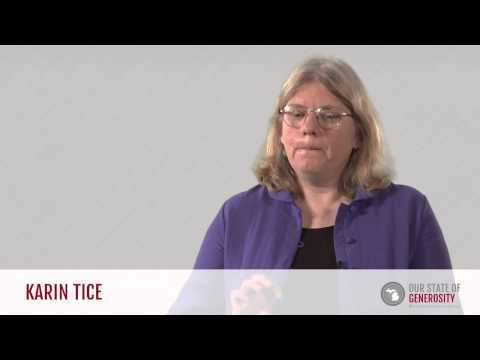 Dr. Karin Tice talks about the importance of sustainable infrastructure in youth philanthropy and the nonprofit sector at large. 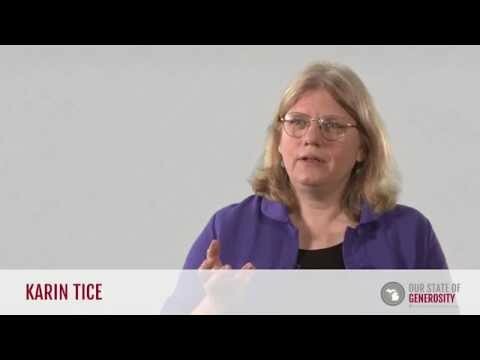 Dr. Karin Tice’s early undergraduate studies at the international Friends World College (now LIU Global) were formative to her understanding of, and interest in, the nonprofit sector. There, students were encouraged to work in other countries alongside local nonprofits and grassroots organizations to study and apply philanthropic solutions to existing social problems. Her interest in social change was further stimulated by graduate studies in Latin America. 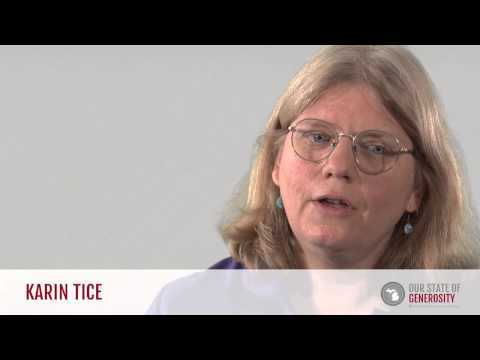 Dr. Tice received her Master of the Arts in applied anthropology from Columbia University and Teachers College in 1982. She completed her Doctor of Philosophy in anthropology at Columbia University and Teachers College in 1989, with a concentration in Latin American studies. Dr. Tice cited her first experiences with philanthropy as taking place during early car rides with her family to visit relatives in Chicago. 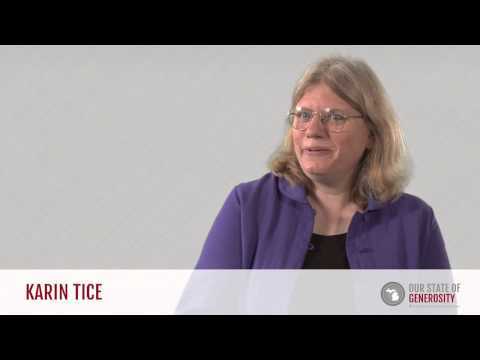 The drives offered Dr. Tice the opportunity to observe differences between the poorest and richest neighborhoods — often coexisting right next to each other — and generated discussion on social problems and philanthropic solutions. 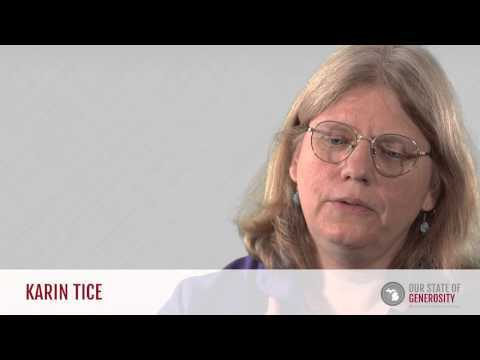 Dr. Tice’s first experience in Michigan philanthropy came in 1991 when she was hired as lead evaluator for Michigan Community Foundations’ Youth Project (MCFYP). The MCFYP evaluation was both formative and longitudinal. She worked closely alongside the project managers and community foundation leaders, providing insights during the development of the project that also helped to shape MCFYP. Her contributions to the early MCFYP program have left lasting impressions on the field. After working with the Michigan program, she also helped with the development and evaluation of youth grantmaking programs in Colorado, New Jersey, and Washington, D.C. These programs have been imperative in educating and empowering youth in their ability to create positive change within their own communities. Her longitudinal reports on these projects have been used nationally and internationally to help develop youth grantmaking programs. Dr. Tice also worked with the Michigan Community Service Commission (MCSC) as evaluator of their first grant, helping to document the grantmaking process and program results as a model for successive MCSC initiatives. At the time, said Dr. Tice, “it [the commission] was innovative and new in the country — a new idea.” The state of Michigan had one of the very first community service commissions, appointed by Gov. John Engler prior to the passage of the federal legislation forming the Corporation for National and Community Service. Since the 1990s, she has supported a broad range of innovative philanthropic efforts by Michigan foundations and their partners. 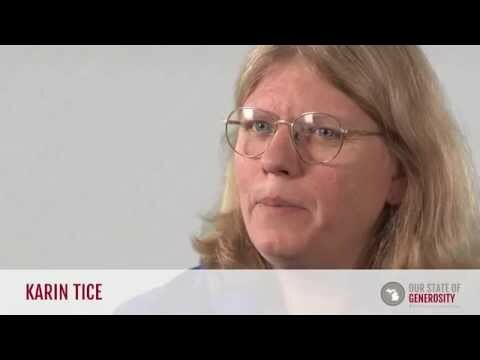 Dr. Tice’s background in applied anthropology gave her a unique perspective into the evaluation process. She used her experience in applied anthropology to help evaluate the interconnections among philanthropic initiatives and existing social conditions. That is, how philanthropic initiatives influence existing social conditions and vice versa. Her approach to evaluation is to include all of the stakeholders in early conversations in determining the project goals, discussing measurement, and the purposes for the report. The MCFYP evaluation is rich in contextual detail as well as identification of lessons being learned. Her insight into the complexity of community and the many layers within is something that marks her evaluations as truly insightful. Since 1986, Dr. Tice has served as president of Formative Evaluation Research Associates (FERA), located in Ann Arbor, Michigan. She continues to focus on community-based and youth philanthropy, as well as innovative approaches to create racial equity through community and systems-level change. Throughout her career, Dr. Tice has had a strong interest in Latin American culture. This interest was sparked by her engagement as a young adult in a foreign exchange program to Oaxaca, Mexico. 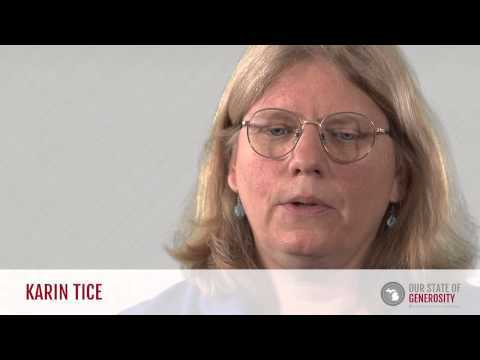 Dr. Tice stated that she felt her life was coming “full circle” when she was later able to revisit Oaxaca as a program evaluator for their youth philanthropy efforts. 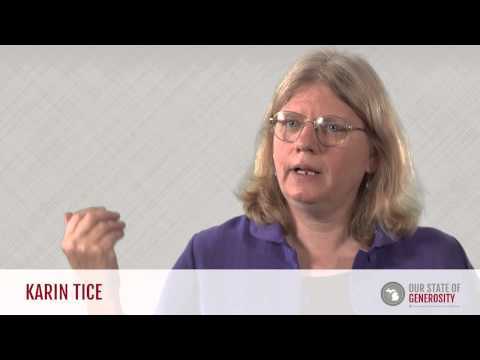 Dr. Tice has also completed field studies in Guatemala, Panama, Mexico, and Spain. She speaks four languages: Spanish, Catalan, Kackchiquel, and Kuna. 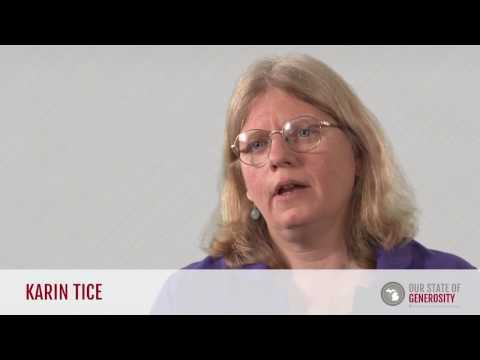 In 1995, Dr. Tice published Kuna Crafts, Gender and the Global Economy, which was awarded the Outstanding Academic Book award by the American Library Association. Dr. Tice was interviewed regarding her insights and experiences in working with Michigan’s philanthropic community and the Our State of Generosity (OSoG) partners. The following are selected quotations from her interview specifically related to the five organizing themes of the OSoG project.